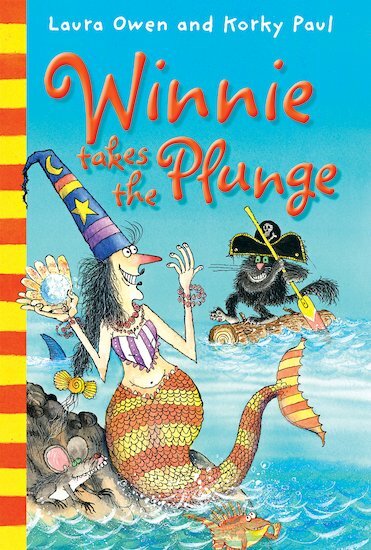 Winnie’s the wackiest witch you’ll ever meet, and she’s not afraid to take the plunge! It’s just a shame that poor Wilbur the cat is not quite so keen on getting wet! In this fantastic book containing four original short stories, Winnie discovers that the tiny mice who share her house have undiscovered musical talents, and has a terribly chilly adventure when she accidentally turns a snowman into the rather dangerous ‘abominable’ variety. She helps her giant next-door neighbour to get in the mood for a big celebration – and tumbles head-first into disaster when she gets flushed down her loo and is trapped by a merman under the ocean waves! Can Wilbur stage a daring rescue? Find out! Packed with rib-tickling laughs and Korky Paul’s zany line drawings, this is another Winnie wonder. Contents: Winnie’s Mouse Organ; Winnie’s Snowball; Winnie’s Giant Party and Winnie Takes the Plunge. This book is not for me but it might be for other people. 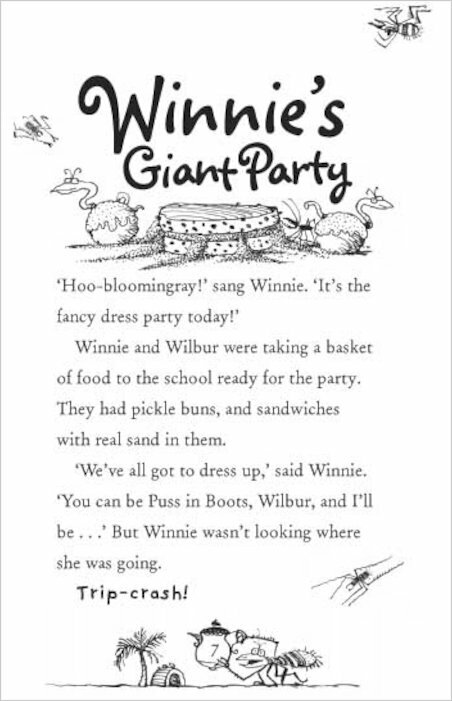 It’s about the witch called Winnie who is invited to a party but discovers her friend who is the giant is not invited. She helps him like other people but this book is sooooo boring!!! !